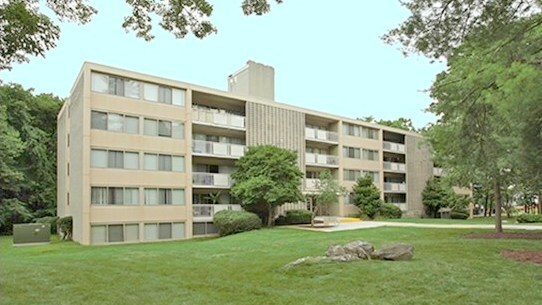 Four Maryland residents have filed a class action lawsuit alleging that Morgan Properties Management Company, LLC – which manages more than 40 apartment complexes in Maryland – charges its tenants excessive and illegal fees. After charging these allegedly illegal fees, the suit claims, the company regularly misapplies tenants’ subsequent payments to them and deems the next rent payments “late” to justify charging additional excessive fees. This so-called “fee-churning,” which critics say contributes to surging levels of eviction and homelessness, is at the heart of this and other lawsuits filed in recent years by the Public Justice Center. One of those suits, filed in 2017, targets apartments owned by the the family of Jared Kushner, President Donald J. Trump’s son-in-law, and managed by an affiliate company. The motion for class certification in that case is pending according to attorney Zafar Shah, of the Public Justice Center. Two previous “fee-churning” complaints against other apartment management companies, Shah said, resulted in settlements in which the companies did not acknowledge wrongdoing but forgave about $2 million in tenants’ debt. The company replied this afternoon to The Brew‘s request for comment on the 23-page lawsuit, filed Friday in Baltimore County Circuit Court. The lead plaintiff in this latest complaint was living in a complex that Morgan Properties manages in northwest Baltimore – the Willowbrook Apartments at 6310 Greenspring Avenue. In the fall of 2017, shortly after Latonya Roberson signed the $1,360-per-month lease, the lawsuit alleges, the company charged her a $50 “filing fee,” even though the actual charge of “filing a failure to pay rent complaint” was $30 and no court had awarded such a fee in her case. Roberson was also allegedly charged a $68 late charge when the charge should have been no more than $18.53. Over 10 months, the “filing fees” added up to hundreds of dollars and a dire threat for Roberson: eviction. Morgan claims that these fees are “rent” and thus collectible under threat of eviction, Shah said. “The company refused to apply post-judgment payments toward the rent Roberson owed, instead applying those payments to the balance of charges and proceeding with scheduled eviction,” the suit contends. Shah said Morgan claims that these fees are “rent” and thus collectible under threat of eviction, a claim the suit says is contrary to Maryland law. “Something didn’t add up with the fees,” said another plaintiff, Kenisha Wright. Wright, a healthcare professional and single parent, leased at Morgan’s Seneca Bay Apartments in Middle River, Maryland. Saddled with unusually high water bills, Wright faced eviction actions nine times in a period of 13 months, according to a news release from the Public Justice Center. The other plaintiffs in the case are Kelly Alston, of Cockeysville, and Jeff Forbes, of Glen Burnie. Fee-churning schemes are a source of additional profit for landlords in Maryland’s increasingly expensive rental housing market, critics say. “Recent data reveal that more than half of Maryland tenants are renting homes that are unaffordable, in other words, paying more than 30% of their income in rent, because there are so few affordable options,” the Public Justice Center statement said. It notes that Baltimore landlords file over 150,000 lawsuits annually for non-payment of rent, resulting in roughly 7,000 evictions. “The routine practice of charging tenants illegal fees, combined with pursuing evictions against them, is predatory and destructive to hard-working Marylanders and their families,” said Chelsea Ortega of Santoni, Vocci & Ortega. The Public Justice Center partnered with Santoni, Vocci & Ortegato and Brown, Goldstein & Levy to represent tenants allegedly harmed by Morgan’s practices. The complaint asks the court to declare the company’s fees illegal and make restitution to the plaintiffs and other tenants charged improperly. New amendments to the bill would benefit waterfront luxury projects. But the proposed Trust Fund was based on questionable financial assumptions to start with. ANALYSIS.